I read this until I could not keep my eyes open and then picked up the book again when I awoke. Quite possibly the best EVER book I have read !!!! 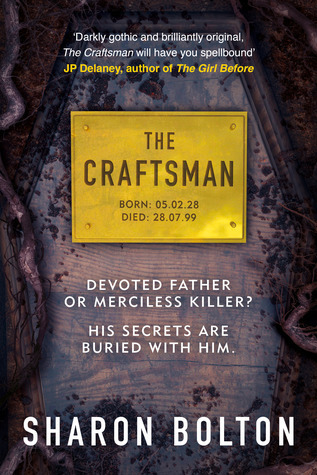 You must get your hands on a copy of this – it is chilling, it will keep you up all night reading and the ending??? Well I never!!! Never guessed this outcome at all. Never realised just who was the wrong doer here, didn’t see this coming. Didn’t see…well you will just have to read it for yourself. 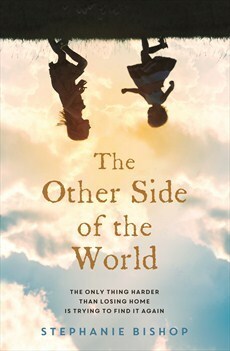 The best part of this book – and there are so many great features – great characters, loved the relationship between Flo and her son, loved the references to the 60’s early 70’s, loved the life lessons woven in….but the best part- this is the first book in a trilogy! More greatness to come- soon I hope. “Constance Kopp doesn’t quite fit the mould. She towers over most men, has no interest in marriage or domestic a airs, and has been isolated from the world since a family secret sent her and her sisters from the city to the country fifteen years before. When a powerful, ruthless factory owner runs down their buggy, a dispute over damages turns into a war of bricks, bullets, and threats as he unleashes his gang on their farm. The sheriff enlists her help, and it turns out that Constance has a knack for outwitting (and disarming) the criminal element, which might just take her back out into the world and onto a new path in life. 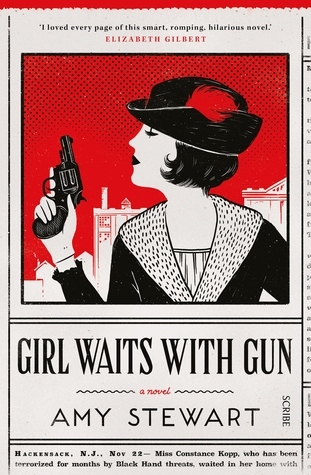 Through Amy Stewart’s exuberant storytelling, Constance Kopp catapults from a forgotten historical anecdote to an unforgettable historical- action heroine — an outsized woman not only ahead of her time, but sometimes even ahead of ours. A creative biography? Possibly. A historical crime fiction? The author comments in the Historical and Source Notes, Acknowledgments (p. 405) that this is a work of historical fiction based on real events and real people. And what a great read it is; it is a delightful character based narrative (the sort of narrative I really love), it has strong female protagonists (another tick of approval here) that are creating history by actively yet quietly and without fuss, leading a life that is not the proscribed for women in that era i.e. they are independent, they live without the protection of a man which defies the norm of the day (1914), and marriage is an option not likely to be discussed in their daily conversations. This are liberated women, living life quietly and respectfully, expecting to be treated as equals, an attitude that deserves an applause in any era. Living quietly…until a bully makes life difficult and shooting lessons are required. Such an intriguing story, told with passion but without bloodiness or excesses but still evoking fear and tension whilst delivering threatening situations. Full of social commentary there are many lessons to be learned here. There is humour, there is life in this book and I just loved it. I think you will too. Constance, I have am very pleased to have met you, likewise Amy Stewart. A thrilling new novel from the author of the ‘Resisting the Enemy’ series. Lena, the lost child… Found wandering the streets of wartime Paris. No-one knows her real name or where she came from. Australia in the ‘Swinging Sixties.’ Lena is working in the Melbourne Law Courts. One day in court she hears a man’s voice. A voice that sounds hauntingly familiar. A voice that chills her to the core. Is it possible that this man has something to do with her unknowable past? Lena embarks on a search for more. A newspaper story. A history. A connection. And slowly, layer by layer, the past is peeled away, revealing a picture of evil involving thousands of lives and touching on Lena’s own personal tragedy. ‘The Butterfly Enigma’ ranges from the submarine-patrolled sea lanes of the Baltic to the staid courtrooms of mid-sixties Australia, to the island of Crete, to Paris, Tel Aviv and the inner workings of the Mossad, and to Rio de Janeiro. A gripping story of one young woman’s search for her lost past. Above all, her passionate and overwhelming desire for justice and retribution. It is very interesting how two people can read the same book so differently – a good reason to have an open mind and check out books which might not necessarily be in your favoured genre – as long as the reviews are positive. 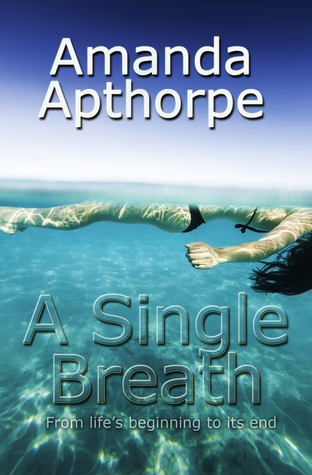 I read an online review that stated that this book is about love and romance – not my view at all! I read this book as a powerful narrative about a strong women embracing the beginning of the feminist movement in Melbourne in the 1960’s – a woman who wanted to and did make decisions for herself, a woman who was comfortable in her own skin, a woman striving to be self-reliant, a positive woman and overall a very determined and pragmatic woman; I could not believe the choices she made in Rio. (No spoilers here). This narrative of feminism, Melbourne in the 1960’s and one woman’s strength is but one element of this multi-dimensional story. We hear the personal stories of war time 1940’s from the viewpoints of Lena’s mother as she struggles to protect her child firstly in Latvia and later in Paris as the ethnocentric war against Jewish people begins, from the captain who provided safe passage to those escaping Latvia on his ship, from Lena’s auntie in Paris and the historical accounts of war via the records of the newspapers and courts of the time, the Berlin Document Centre, trials of war criminals and other such resources. I dare you not to be moved but these accounts. The stories and voices here overlap and intertwine offering the reader a rich and vibrant narrative. I loved every word on every page; such an exquisite and engaging narrative. Love story? That is not how I read this book; a multifaceted story of feminism, war crimes, retribution, courage and strength and complex relationships. Yes there are relationships in this novel – what novel concerning people wouldn’t be complete without the interactions between characters? Maybe the word lovers as opposed to love story is more fitting here? You be the judge. We hear from Laura Bates (of the Everyday Sexism Project), Reni Eddo-Lodge (award-winning journalist and author), Yas Necati (an eighteen-year-old activist), Laura Pankhurst, great-great granddaughter of Emmeline Pankhurst and an activist in her own right, comedian Sofie Hagen, engineer Naomi Mitchison and Louise O’Neill, author of the award-winning feminist Young Adult novel Only Ever Yours. Writing about a huge variety of subjects, we have Martha Mosse and Alice Stride on how they became feminists, Amy Annette addressing the body politic, Samira Shackle on having her eyes opened in a hostel for survivors of acid attacks in Islamabad, while Maysa Haque thinks about the way Islam has informed her feminism and Isabel Adomakoh Young insists that women don’t have to be perfect. There are twelve other performers, politicians and writers who include Jade Anouka, Emily Benn, Abigail Matson-Phippard, Hajar Wright and Jinan Younis. One of the best nonfiction reads of the year! I call myself a feminist – quietly, carefully, almost fearfully… for conflict is not my middle name…well, ok, maybe… sometimes it is. I call myself a feminist – loudly, proudly and want to change the world, for the world to be so much better for everyone! The term feminism/feminist is still so conflicting; a dirty word, conjuring a stereotype (of women emasculating men) that instils a fear that manifests in many forms of violence, aggression and condescension against women who identify with this noun. It is only a word. Fear it not. 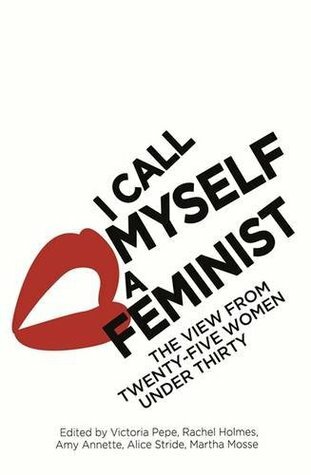 But I digress, this review is not about me or my views about feminism this book is about women’s experiences in a global world and why we need more feminists – if you doubt that need I implore you to read this book. If you agree that the world needs more feminists – read this book – you will not believe the amount of work that still needs to be done. 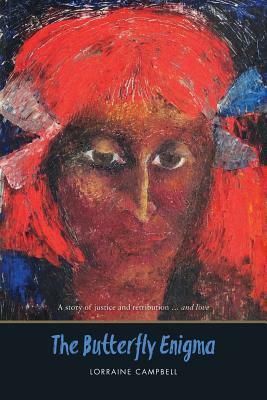 If you consider yourself a humanitarian – read this book – humanitarian action/theology is feminist based. If you are parents of young children, read this book. If you teach/coordinate Women’s Studies at any level – why isn’t this book on your shelves and on your students’ book lists? Why wasn’t this book and the many discussions it solicits around when I was a student? This book is stimulating and eye opening and not elitist. If you are the parents, family, friends or colleagues of the young people who have written the essays for this collection – be proud! Back to the book….I feel deeply saddened that there exists and is a real need for something called an ASF – ( The Acid Survivors Foundation,) the ASF “is the only centre in Pakistan dedicated to the treatment and rehabilitation of victims of acid violence. The centre provides accommodation for victims while they receive medical, legal and psychological support… Acid violence is exactly what the name suggests: it involves a corrosive substance, usually sulphuric acid, being thrown at a victim. It takes seconds to carry out an attack, but can cause permanent disability, as well as disfigurement and excruciating pain. Skin melts, muscles fuse together, vision is lost…It is an astonishingly brutal crime that strikes at the very identity of the victim…for the most part, it is a gender based violence. As such it is more prevalent in countries where women are disenfranchised: not just Pakistan but also India, Nepal, Bangladesh, Colombia, Vietnam and Cambodia. ”pps 104-105. “ You ask why we still need feminism. I roll my eyes. If you pick up this book (and you really should) if you read nothing else read the chapter titled “Staring at the Ceiling: It’s Not Always As Simple As Yes Or No” by Abigail Matson- Phippard. It is interesting and concerning to read that these type of experiences have not changed with the generations. Matson-Phippard articulately opens a discussion that needs to be had, makes room for voices that need to be heard, bravo! (And need I say this particularly chapter struck a chord with me, mirrored experiences and emotions I thought only related to me as a young woman growing up in the 70’s…) Abigail Matson-Phippard’s level of introspection and articulation in enviable. Read on and you will discover many other examples of why feminism needs to make itself heard (again) and the philosophy embraced (strongly) – by men and women alike. There is something here that will speak to everyone in this wonderful collection of views. In the 18th century, Dawnay Price is an anomaly. An educated foundling, a woman of science in a time when such things are unheard-of, she overcomes her origins to become a natural philosopher. Against the conventions of the day, and to the alarm of her male contemporaries, she sets sail to Portugal to develop her theories. There she makes some startling discoveries – not only in an ancient cave whose secrets hint at a previously undiscovered civilisation, but also in her own heart. The siren call of science is powerful, but as war approaches she finds herself pulled in another direction by feelings she cannot control. “To escape the feminie limitations – the narrow and small lives women live in our age – to escape that and be a swaggering man free to follow his own destiny…” Carol Seeley 1960’s. I had the same thoughts as a child Dawnay . I started this book with no expectations – sorry Rebecca Mascull I hadn’t heard of you or your earlier book The Visitors (though want to read this one now). I found this novel to be beautifully written, engaging … an adventure story, a creation story and a feminists story….delightful. This book makes my heart sing. Read it, you won’t be sorry. 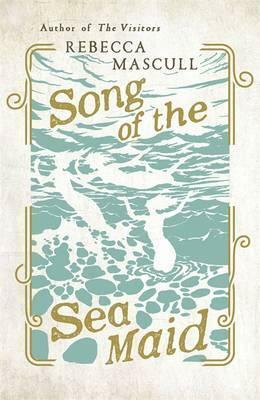 Gently written with visually explicit landscapes and relationships put under the microscope this book is a delight to read. I particularly enjoyed reading about the era the migration to Perth Western Australia took place in and the experiences of the migrants Charlotte and Harry and their young family; I was child when we migrated from England to Perth in 1966 and my early memories are of similar experiences – not for me as a child – I think children just except whatever is thrown at them and the notion of migration and living in another country really didn’t impact me directly but it did my mother. I think the adults were not particularly well prepared for the physical conditions, the cultural changes and the isolation. Like Harry my father had a job to go to, he had a purpose in his day. Accommodation was provided with the job – but a timber framed house with wood stoves for cooking and water heating in the middle of an extremely hot Australian summer do not make life easy for the homemaker, the wife left at home with no transport, no support network and basic cramped living conditions and unbearable heat. We were a family of six (at the time, which became seven) living in a two bedroom house. My parents had no experience of such heat and the sunburn, heat rash, and dehydration that came with it. Mosquitoes and flies… and other little pests can make life unbearable. I think it was a particularly difficult time for my mother. However, we stayed, maybe there were no other real options? Was Charlotte brave? I think so. She had insight and was able to identify the problems in her life but not the causes. She made a difficult decision, actually several very difficult decisions – but still seemed lost and at odds with her identity. To admit that motherhood as she experienced it, was not for her is a huge undertaking – to go against the popular culture and socially determined role expected of a woman in the 1960’s, of a married woman with children, must have been enormously difficult. I think it would probably still be as difficult today to buck societies expectations but maybe the opportunity for depression to be identified and treated would be better but the underlying struggle to rediscover ones identity when in a long term relationship, when responsible for children…that battle is still be waged. Some deal with it better than others. A fantastic novel that gently looks at the intersections of migration, sexism, racism and women’s place in society. This book is guaranteed to make you think and is a delight to read.